Being awake when it seems everyone else is asleep can feel the most lonely time. Rest assured it isn’t just you and take some comfort that there are other’s watching late night TV repeats too! 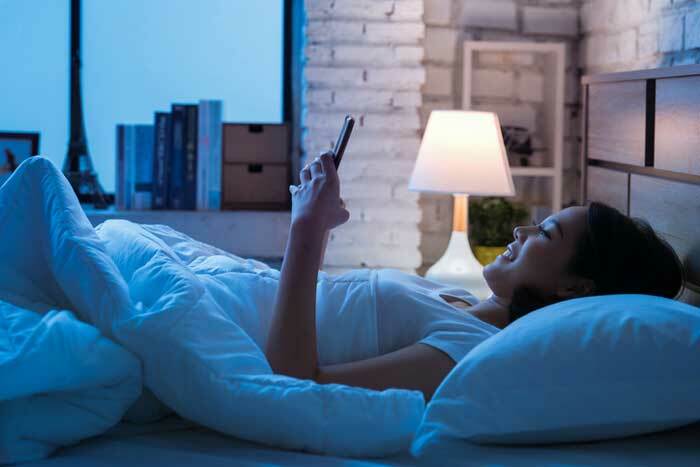 You might not have kept to a bedtime since you were a child, but it’s helpful to create a routine and a rough ideal of when you want to be in bed. That way you’re one step ahead and will avoid a potential rush to bed, which can cause you to become flustered and worrying about how much sleep you’re going to get. Phones, tablets, laptops etc all stimulate the mind and therefore hinder sleep taking over. Keep screens OUT of the bedroom and invest in an alarm clock to act as your wake up call. Help to reduce any anxiety and stress by creating a bedtime routine. A warm bath with relaxing oils, low level lighting and a warm (not caffeinated drink) can all help set the mood. Limit all whirling thoughts by writing them down! This will get any niggles or worries out of your head and onto paper. In doing so, this can help in letting any angst go and will result in a more restful sleep. Choosing the right song is key. Choose something soothing, relaxing and calming as it really can help in promoting positive happy and anxiety free feelings. When we’re anxious we don’t breathe properly. Deep breathing is important so really focus on breathing slowly in through your nose for seven seconds and then out through your mouth for 11 seconds. This will naturally help calm you down, thus making you more likely to sleep. Anxiety’s nemesis… keep clear of all stimulants as these will only hinder your sleep in the long run. Choose a herbal tea instead! If you can’t sleep or wake up in the night and can’t get back to sleep, don’t reward your brain by watching a gripping TV show. Instead, pick a really boring task! You’re far more likely to tire quicker and fall asleep if the task is boring. This is proven to help promote sleep and endorphins (happy chemicals which reduce anxiety). So why not try to take some gentle / moderate exercise before bed? Perhaps a walk, yoga class, or swim. Thanks for sharing these amazing tips with us. I would like to share something , You can also improve your sleeping habits by having Himalayan salt from saltean. These salt lamps are incredible in work and act as air purifier. They not only improve your sleeping cycle, also make you free of anxiety and calm person.